More than a dozen wildfires continued to burn across the Australian state of Victoria early this week as more residents were warned that they were in the path of the blazes. At least 11 buildings have been destroyed by the fires including homes and a winery. New emergency warnings were issued for Dargo and areas near Licola on Tuesday as more than 2,000 firefighters continued to battle the blazes across eastern Victoria. Firefighters in Victoria are rushing to build containment lines around fires burning east of Melbourne before “gusty and erratic” winds reach the area on Wednesday. At least nine buildings, including homes, were destroyed in two out of control bushfires at Bunyip and Yinnar South in West Gippsland on Sunday, and an emergency warning was issued for a third near Dargo in the high country in east Gippsland. There were 19 fires burning out of control in eastern Victoria on Monday, scattered through the east Gippsland and highland areas, and 23 schools have been closed due to fire risk. Authorities have roped in teams of soldiers and volunteers to help tackle wildfires in the Mount Kenya national park. Illegal marijuana farming has been blamed for the blaze, which threatens natural bamboo forests. Wildlife rangers and Kenyan soldiers are battling to stem fierce wildfires on Mount Kenya national park, around 190 kilometers (118 miles) northeast of Kenya’s capital, Nairobi. More than 80,000 hectares (200,000 acres) of forest land has been destroyed at the World Heritage site since the fires broke out a week ago. Hundreds of firefighters will work through the night battling blazes across Victoria’s east as raging bushfires continue to threaten homes and properties. Dozens of communities are at risk with at least four fires burning out-of-control on Saturday with many residents in nearby towns told to take shelter or to leave before it was too late. A complex fire system with a collective area of almost 400,000 hectares has been burning within the Shire of Esperance this week, with fears it could last weeks if not months. Several fires were started by lightning in a number of areas including Cape Le Grand, Boyatup, the Coolgardie-Esperance Highway, Salmon Gums, and a very large fire north of Cascade Road that has now spread across Lake King road. There were 378 cases of farm, forest and bush fires in the state in the first two months of the year as the country is hit by a hot and dry spell. Melaka Fire and Rescue Department said from the total, bush fires were the highest with 357 cases compared with forest fires (11 cases) and farm fires (10 cases). Firefighters have contained a blaze that erupted on moorland in West Yorkshire in northern England, one of the three wildfires that broke out across the United Kingdom as temperatures hit record seasonal highs. The fire, on Saddleworth Moor, burned throughout Tuesday night across about 1.5 square kilometers (370 acres) near the village of Marsden. Other fires broke out in Edinburgh, on the city’s famed Arthur’s Seat hill, and in the southern English county of West Sussex, in woodland immortalized by A.A. Milne’s Winnie the Pooh stories. 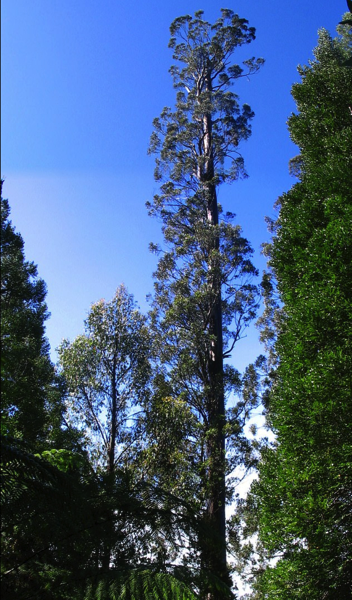 Australia’s tallest tree ‘Centurion’ has survived Tasmania’s fierce bushfires, with the only damage a scorched, gaping hole at the base of the 100-metre tall Eucalyptus tree. The tree’s survival is a silver lining to the devastating Riveaux Road fire, which destroyed thousands of hectares in the Huon Valley, in southern Tasmania. Kenya Forest Services (KFS) has mobilized it’s human and equipment assets to assist in putting out a huge fire that is fast spreading in Mt Kenya Forest. The 6km long forest fire line has moved from Lake Ellis area towards Lake Alice and Marania spreading to the moorlands an area under Kenya Wildlife Service. A bushfire that damaged one home and destroyed four sheds, four vehicles and a harvester in Western Australia’s South West region has been contained but the threat remains. About 3300 hectares have been burnt since the fire started on Tuesday, and 80 firefighters are working to strengthen containment lines and mop up. The official number of homes destroyed by bushfires in the Australian State of New South Wales (NSW) last week has risen to 32, the NSW Rural Fire Service (RFS) said on Tuesday. A further 21 homes were damaged and 119 outbuildings were scorched by three main blazes which tore across 74,000 hectares of bushland surrounding the towns of Tingha and Tabulam in the state’s north. Arsonists are suspected to be behind a wave of wildfires which have hit the region of Cantabria in the north of Spain. The Cantabrian regional authority reports that round 32 different forest fires were active in 20 municipalities in the region. Since Thursday 194 wildfires have been reported in the region with 50 active at nightfall on Sunday, although authorities hope that the arrival of daylight will allow the use of two aircraft and three helicopters to return to the battle against the flames. Fire crews have taken advantage of favourable conditions overnight to gain the upper hand on three blazes burning in northern NSW. The mostly mild weather conditions over the weekend have provided much needed relief for the NSW Rural Fire Service, after 22 homes were destroyed and 15 houses damaged when fires raged through the towns late last week. A further 74 outbuildings have been razed and 24 outbuildings damaged. The Bruxner Highway fire at Tabulam has burnt more than 5800 hectares of land and is still considered to be out of control. Nearby, just over the NSW and Queensland border in Wallangarra, north of Tenterfield, a bushfire has burnt through more than 32,700 hectares of land and is being controlled by firefighters. A blaze at Tingha, near Inverell, which has been burning since last Tuesday remains at Advice warning level as crews work to control the blaze. It has burnt more than 21,300 hectares of land with firefighters extinguishing hotspots along the edge of the fire overnight. The fire danger in New South Wales will peak today as firefighters battle 33 blazes across the state with some rural properties under threat. Watch-and-act alerts were issued for bushfires at Warrabah near Tamworth and Tingha Plateau in the state’s north-east with Fire and Rescue NSW warning fire activity was increasing in the area. Wildfires have now destroyed 41,200 hectares of forest land in southern and central Chile, the country’s National Forestry Corporation (CONAF) said on Monday. The figure represents an increase of 45 percent from last year in the area of forest land razed in the fire season. That’s because California lost far more trees in the three prior years, including a jaw-dropping 62 million dead trees in 2016, due to a combination of drought and bark beetle infestation. With rain and snow in the state increasing over the last two winters, experts proclaimed an end to the seven-year drought. But the state still faces a heightened fire danger after more than 147 million trees were lost over the last nine years. Officials at the California Department of Forestry said that it typically takes at least three years of substantial rain and snow for trees stressed by drought to return to good health. That would mean the state’s forests could benefit from at least one more year of wet weather to recover from the brutally dry period of 2010 to 2016. Strong winds are expected to continue to fan forest fires that have been burning for a week through New Zealand’s South Island, that have forced more than 3 000 people from their homes. Early on Sunday, 155 firefighters were battling the blaze on the ground with air support from 23 helicopters and three fixed wing planes, making it the largest aerial firefight on record in New Zealand. The Pigeon Valley fire covers 2,300 hectares (5,700 acres) with a 25 km (15 mile) perimeter, NZ Civil Defence said on its website. No deaths have been reported and only one home destroyed as of Sunday.